The lower part of the outside walls are made up of natural stones and inside is also the building with the combination of natural stone and stone masonry. They say stone and artificial brick, can not be joined in the stucco. Stone and brick (?) are joined beautifully, which show the body of Stone god have changed to them. The half of this castle is in the soil and the roof is the normal soil. Some places of the roof have the holes like chimmney. Stone men with wings seemed to come and go through them. Fragment of inscription written in Moab character in Karak has been found. Moab is the birthplace of Ruth, grandmother of David. I think ancestors of the Jews have a relationship with this place, too. It is on the mound and it is the castle of semi-underground. Some part of the roof is made of the soil. Shape of the arch can be seen here and there. 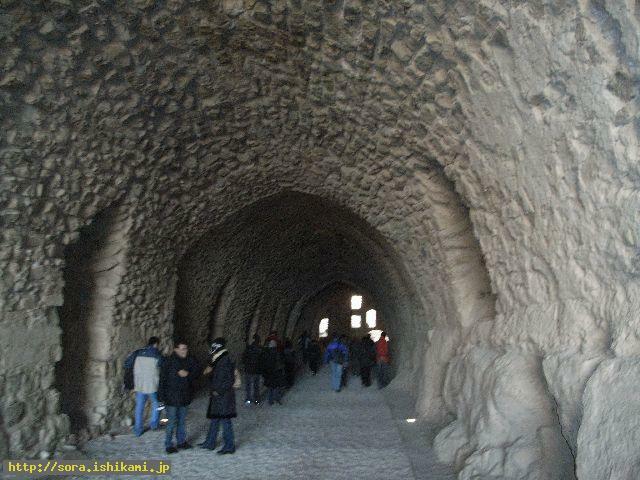 Though they are made with stacked stone, small rooms of semi-basement are lined. The bottoms of the earthenware here are also round. The round shape of the bottom show those earthenware were not made for drawing water or milk. Those pots are the ones which were put on the head of Stone men in other places like in Rome , or other places for the container of the juice. 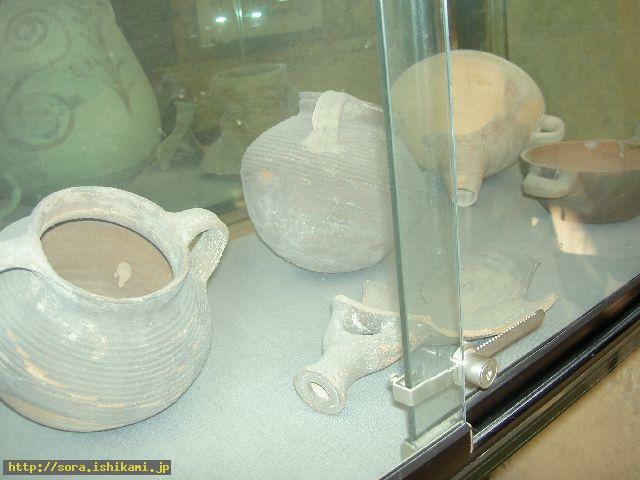 Those are left to be used for the pot and the Neu here made them by imitating them. Stone men here seemed not to have made humanity here and those pots were taught(?) to Neu how to make them by the angels who had flown from Rome , or other places. "It was not made by humanity. Humanity was taught that Stone gods had become such things drawn on the mosaic. 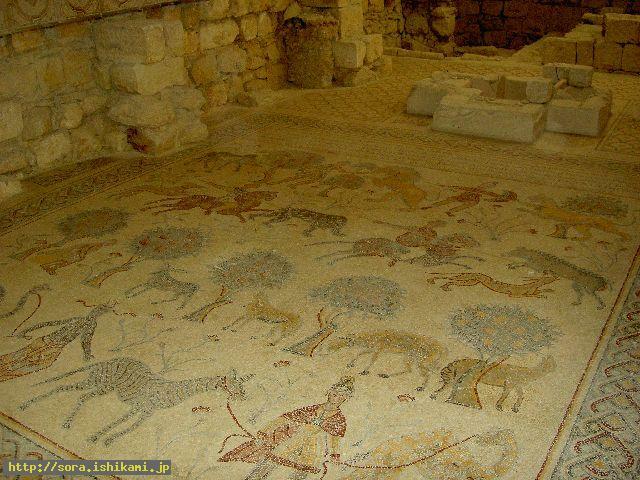 Humanity was taught to breed those animals drawn on the lower part of mosaic. As animals towards the top harm humans, humans should confront them so that they would not lose them in this way was taught by the mosaic. I was told through the channeling there is also a stone box towards the other side which form the basement, but humanity were not made in it. Incidentally the wall is not made of bricks but made of stones. Among the masonry in Iraq, colorful mosaic was also common in the masonry of the top of the crag. There is a mosaic map of Palestine that was surrounded by walls in this church. It was made by attaching finely crushed marble(?) of different colors. Those marble were not attached by humanity. "The Neu of Stone gods turned into the pattern by changing the colors of the beat of their own."